If you or a member of your family has been injured by a dog bite or other animal attack, contact the Boston personal injury attorney Steven J. Topazio for reliable advice about your right to compensation. With more than 24 years of experience as a trial lawyer, Steve Topazio has both the legal knowledge and the practical understanding of evidence to help you present your damages claim successfully. 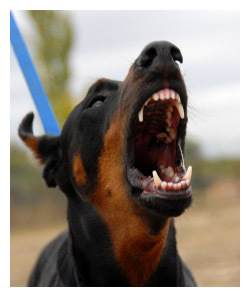 In many cases, the owner of a dog that bites someone is considered strictly liable for the resulting injuries. That means that such issues as negligence, whether the dog was properly restrained, whether the victim was careless, and other considerations of fault are not even considered. If a dog bites and injures you, you have a right to compensation against the owner, even if the animal had never before shown any tendency to attack. Despite the lack of negligence issues, several defenses remain available to the owner: that’s not my dog, a different dog bit you, you weren’t actually injured, you were a trespasser, or you provoked the dog into an attack. At the law firm of Steven J. Topazio, Attorney at Law, we know how to analyze the facts of dog bite cases to anticipate the likely defenses and see whether the evidence gives you a good chance of overcoming them. In dog bite cases involving small children, the provocation and trespass defenses will probably not apply, but that doesn’t mean the defendant won’t raise them anyway. Our attention to detail in the preparation of dog bite lawsuits can also turn up evidence of your eligibility for triple damages. If the animal involved in your case has a history of attacks, and its dangerous tendencies had previously been reported to local authorities, then an order of restraint has probably been issued to the dog’s owner. Any dog bite that occurs after an order of restraint is in place entitles the victim to three times the damages proved. For a free consultation about your rights and legal options in a Massachusetts dog bite case, contact a knowledgeable Boston Personal Injury Lawyer Steven J. Topazio at or email him to schedule a free consultation.